The Hague: The US has threatened to arrest judges and prosecutors of the Criminal Court and close financial assistance. According to the International News Agency, the US President's Advisor for National Security John Bolton has called for the International Criminal Court to be abusive and imposed strict sanctions, including the arrest of judges. He also accused the Americans about discrimination with the Americans. US adviser John Bolton said that if the global criminal justice will take action against US, Israeli or allies, they will not be silent. The US knows how to protect its citizens, volunteers and officers and our first priority is to protect our citizens. 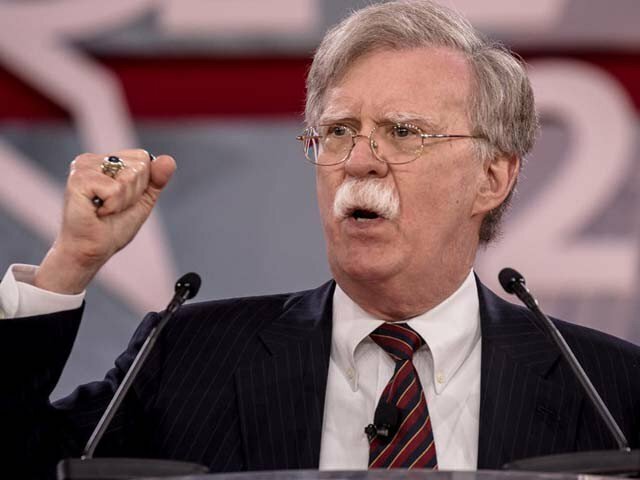 John Bolton further said that if the decision was taken against American officers deployed in Afghanistan, then the World Criminal Court will ban the judges in the US. Judges and prosecutors will be arrested under the US system of justice and the financial assistance to the World Criminal Court will also be closed. The US has accused the ban on the International Criminal Court when American officers in this court face cases of non-human behavior and abusive inmates in Afghanistan in 2016. On the other hand, the International Criminal Court has concluded that the court has the right to prosecute any warrior, war crimes and humanity on trial in any of the troubled areas in the world. It is clear that in 2002 the World Criminal Court was set up to investigate genocide, war crimes and humanity and to provide justice to the victims. 123 countries including the UK, joined the court, but the United States itself has been separately separated.